This blogger couldn't score an invite to the launch event du jour, so he is glued to his computer like everyone else. Update: Here's the presentation video. Here's a detail to keep you entertained while we wait through the early bits of the presentation: Amazon's smartphone, which only showed up on the FCC website this morning, carries the model number SD4930UR. It's appeared on a few websites over the past few weeks, including one that tested its html5 support, but few usable details have been revealed. It's called the Fire Phone (product page). Like the rumors said, it has a 4.7" screen (with Gorilla Glass on both the front and the back). It's running on a quad-core 2.2GHz SnapDragon CPU with 2GB RAM, a 13MP rear-facing camera (with five element lens and optical image stabilization) and dual speakers - a silly feature to talk up given the size of the device (and that a lot of smartphones have it already). Edit: The Fire Phone will cost $199 from AT&T with 32GB internal storage. The 64GB model will cost $299. Both will require a plan for AT&T (the 32GB model will cost $649 unlocked), and they are listed on the product page as shipping on 25 July 2014. It comes with a year of Amazon Prime. That's not a bad deal. The Fire phone is going to be tied into Amazon services, including free cloud storage for photos taken from the phone, Amazon Instant Video, Kindle, Second Screen and X-Ray for Movies, and other features found on the Kindle Fire tablets. And in case anyone is wondering, we can see the 4 cameras in the slideshow images of the Fire Phone (from Cnet). 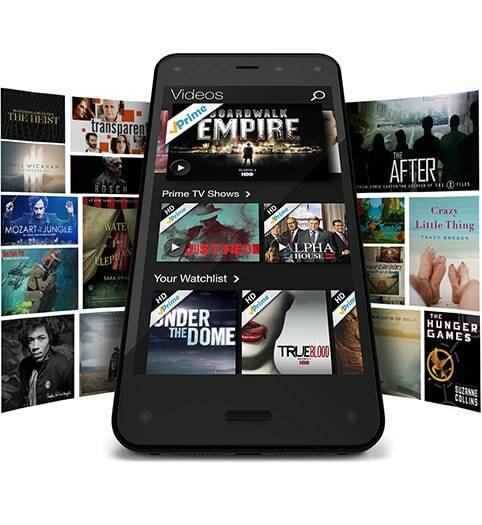 The phone also features Firefly, Amazon's next step in mobile shopping. This app combines the abilities of Amazon's existing mobile shopping app with that of the Amazon Dash, their handheld bar code scanner. You can take a picture of a bar code or you can simply photograph the object and the app should recognize it. It also does character recognition (and audio), so you can use it to scan business cards, phone numbers, etc. Firefly recognizes a hundred million different items in real-world situations, Bezos said. It sounds awesome (I called it), but we're going to have to wait for Amazon to post the presentation video later today before we see it for ourselves. There's also an infinite scroll feature which uses tilting the phone as a control (Samsung did it first). According to Amazon, the dynamic perspective requires 4 cameras because the minimum requirement is two, and by using 4 cameras the system is, redundant, robust, and offers a larger field of view (bother wider and taller). Like the rumors suggested, the Fire Phone is launching with 3rd-party (including Zillow, Sirvo, Backflip Studios, and more) app support for the 3d dynamic perspective feature. Amazon is also launching an SDK for this feature. 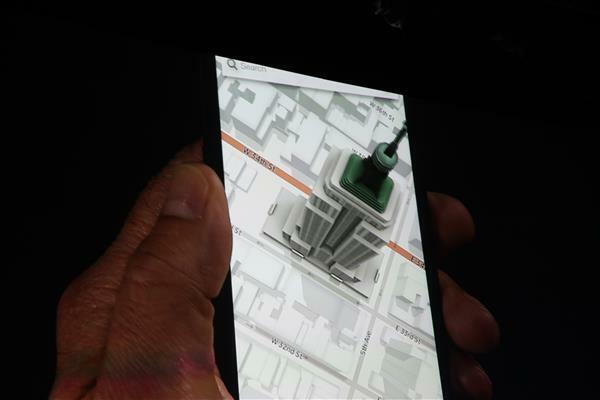 The Fire Phone will cost $199 from AT&T with 32GB internal storage. The 64GB model will cost $299. Both will require a plan for AT&T, and they are listed on the product page as shipping on 25 July 2014. 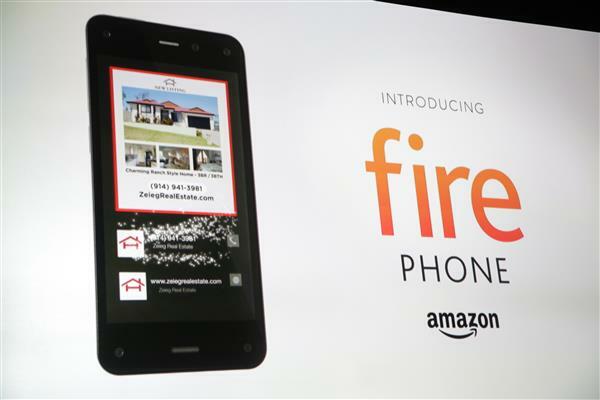 The Fire Phone comes with a year of Amazon Prime. That's not a bad deal. $200 on-contract (AT&T exclusive). Probably in the $600-700 range unlocked given the way AT&T structures their subsidies. Their website has all the pricing information. 1. Its not cheap. $200 for 32 Gb phone on a 2-year ATT contract, which means its about $600-650 unlocked (at least until they start discounting it heavily). 2. It looks cluttered. It suffers the same problem the new Samsung S5 has, too many apps out of the box. With a screen that size your eyes glaze over it. 3. Privacy. I’m not sure people would like a phone that can track every movement they make. There’s been no discussion about privacy in any of the web cast. In fact the biggest market for them might be historians and students because it has fantastic OCR capabilities (although I think its pushing a lot of this out to amazon’s servers). Real stores are probably going to be very unhappy that its even easier to do what lots of people did when borders was around, walk into the store, browse, then go to amazon on their phone and buy the product there. That is one cool feature. It’s definitely going to annoy shop owners. They’re going to have to start frisking shoppers at the door. That used to be a phone comparison site, but as of today it belongs to Amazon.